If you are hosting a gathering in the near future and are looking for ways to add a personal touch and enhance the mood of the party, you can achieve great results with homemade cupcake toppers. Even if you want to save time and buy pre-made cupcakes, you can still dress up the little desserts even further with this easy craft. Choose a color scheme or theme to match your party's style, then dig out some old valentines, post cards, stickers and beads to top your cupcakes. Stamp a design onto each of the stickers. Make them all the same or use a theme, such as zoo animals for a kids' party. Write a guest's name on each sticker to turn your cupcakes and picks into place cards. Decorate enough stickers for two per cupcake. Dip the fatter end of a toothpick into the craft glue and thread a few beads onto it from the thin end. Wipe off excess glue. Beading is optional and works best with longer toothpicks or cooking skewers snipped into thirds. Allow the glue to set. Peel one decorated sticker off of its backing and lay it on a flat surface. Place a toothpick into the center of the sticker and press gently. Make sure that you press the toothpick at the proper angle so that when you hold it up, the sticker design is not sideways or upside-down. If you used beading, you will want to press the sticker onto the toothpick farther down, so the beading will poke out just above the sticker. 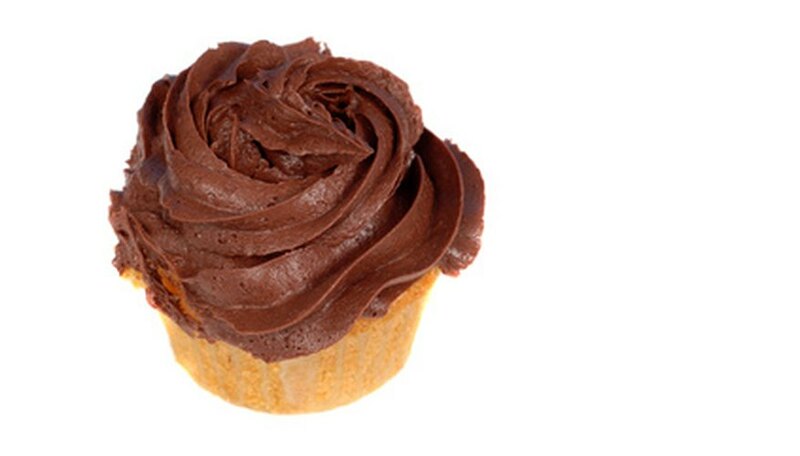 Leave enough of the toothpick exposed that you can still poke it into the cupcake. Peel a second sticker off of its backing and line it up evenly with the first sticker that now has the toothpick on it. Press the stickers together. You can find round stickers at some craft stores, as well as at many paper or scrapbooking stores. Check those locations for paper doilies or other designs to cut out for picks. You can glue cutouts from wrapping paper, greeting cards, etc. onto the toothpicks if you like the design or you don't have stickers. Use colored toothpicks for extra pop in your pick. Suzanne Akerman began writing in 2000. She has worked as a consultant at Pacific Lutheran University's Writing Center and her works have been published in the creative arts journal "Saxifrage." Akerman holds a Bachelor of Arts in English and a Master of Arts in education from Pacific Lutheran University.